Snack on it – To begin with, try snacking on vegetables than on other store bought sugary and salty packets of unhealthy snacks. Fresh carrots and beet roots with healthy dips can be mentioned as an example. A plate of fresh veggie salad with salt, pepper and a dash of lemon can be a treat for your taste buds while being very low on calories and rich in vital nutrients. There are about a thousand different ways of preparing fresh vegetable snacks. Try them out or create your signature recipe and enjoy! Add it to your soup – Vegetables are highly compatible with soups and thus should form an integral inclusion in the same. Light vegetable soups sans cream, butter and other calorie rich inclusions as such can be tasty while being super healthy at the same time. You can pour yourself a cup / bowl as and when you please to satiate your craving for snacking or during meals. 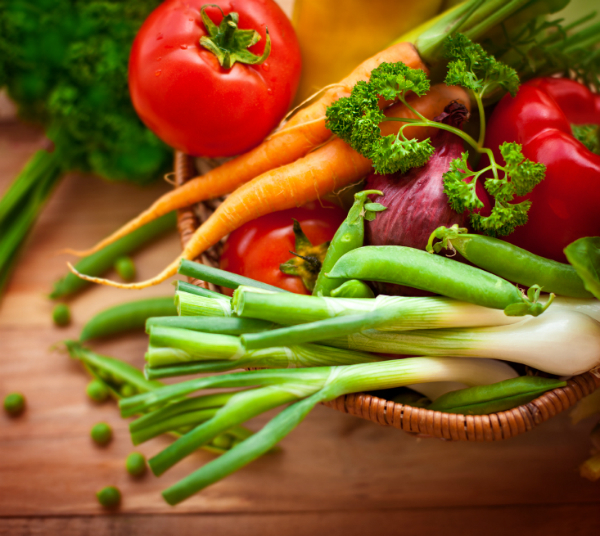 Eat a bowlful for lunch and dinner – No important meal of the day is complete without vegetables. Whether in lunch or dinner, you must make a conscious effort to include a bowlful of steamed / stir-fried assorted vegetables with a touch of salt, pepper / lemon. Assorted vegetables are always a good option than singling out your favorite ones, because of the heightened level of nutrition it offers. Layer it on your pizza / pies – Pizzas and pies can be granted a healthier twist with a burst of vegetables. Thin out the layer of cheese; compromise on the pepperoni and introduce sundried tomatoes, jalapenos, olives and just about any other healthy veggie inclusion that comes to your mind. This is one of the best ways to include otherwise unhealthy foods in their pro health form your diet. Juices can be great too – Vegetables juices carry a boost of nutrition. You can juice single vegetables or an assortment of the same and include it in your breakfast, lunch or dinner. This is one of the best ways to increase vegetables in your diet. This can also be real tasty treat for weight watchers and those trying to stay in shape. However, it is very necessary to remember that canned or packed vegetable juices don’t always contain the level of nutrition they promise. These options may be rich in preservatives and added sugar that can steal from the real benefits. Vegetable juices or even fruit juices for that matter are best when made at home. ← 5 Easy Ways To Make Your Baked Food More Friendly To Your Health!